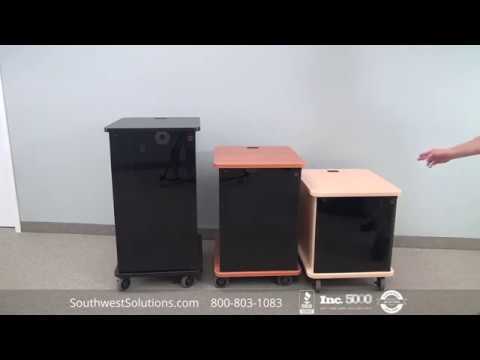 Manufactured metal casework furniture for labs, medical facilities, hospitals, and schools. 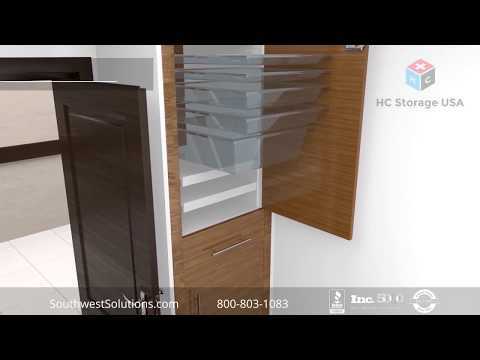 We specialize in movable millwork furniture and modular casework cabinets made of metal, stainless steel and laminate materials. 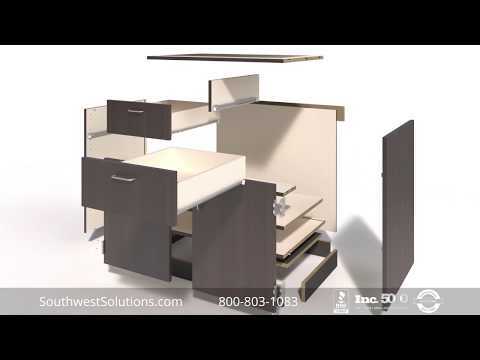 Modular casework is designed to be movable yet looks like traditional built in millwork. 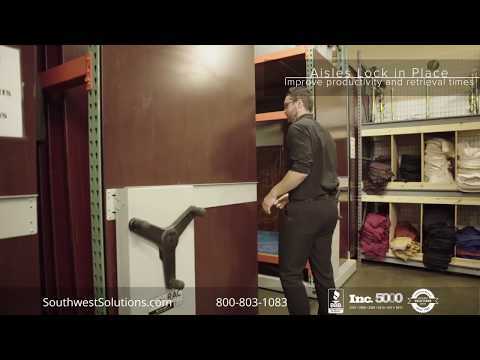 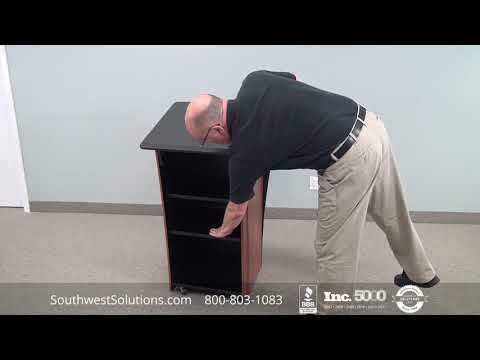 The modular furniture flexible design allows you to remodel, renovate, move, and replace damage doors and drawers easily without having to rip out the cabinets and throw them in the landfill. 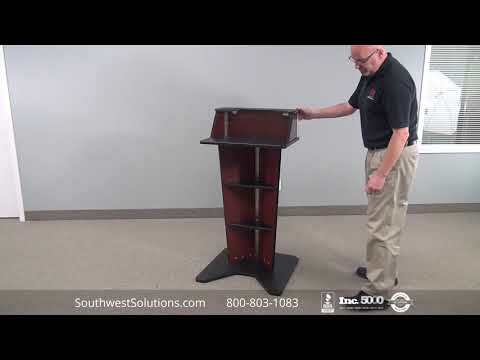 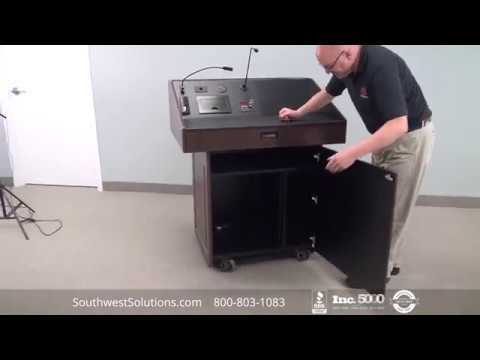 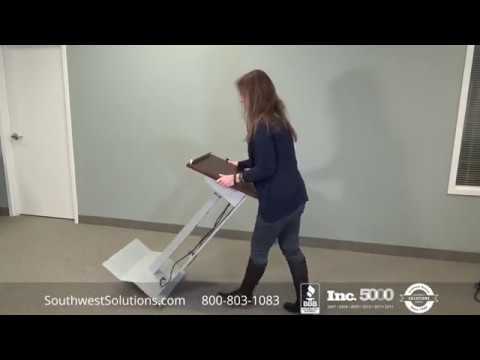 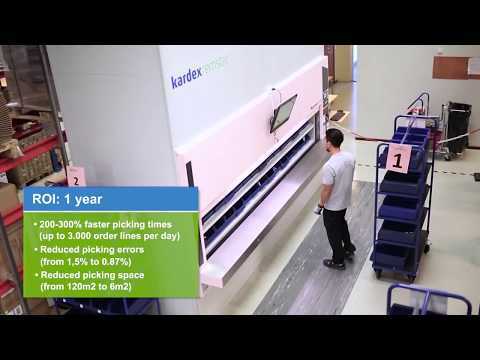 Some of the benefits of using manufactured casework furniture besides being movable is tax depreciation, less dust in created during remodels, renovations, and moves, and less construction trades entering into your office. 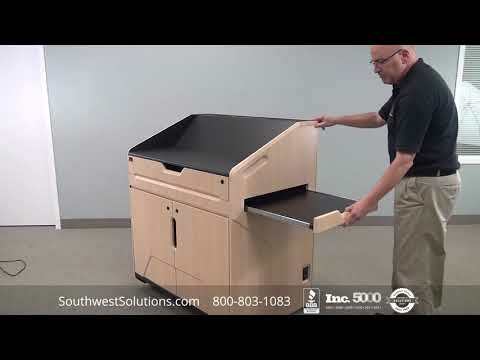 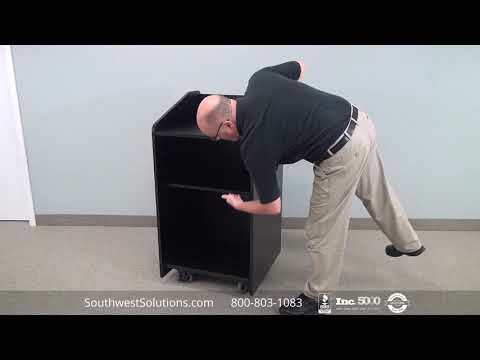 All of these benefits result in less disruption to your employee productivity when casework cabinets are movable. 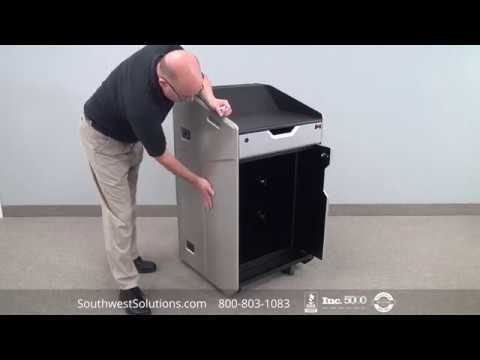 Modular casework cabinets are widely used in hospitals, medical labs, crime labs, athletic facilities, research labs, school labs, and anywhere there is a concern for cleanliness and the spread of bacteria and germs. 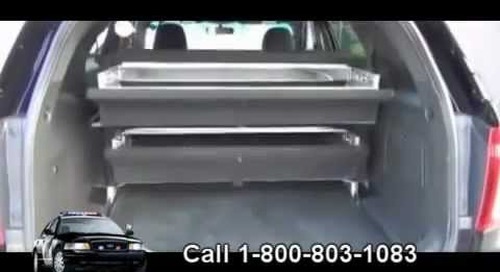 We specialize in detailed features that prevent the spread of germs and contaminants. 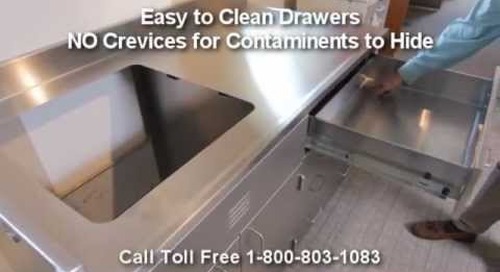 Manufactured metal casework and stainless steel casework features easy to wipe and clean waterfall counter tops, rounded drawer interiors for easy cleaning with no crevices for germs and dirt to hide. 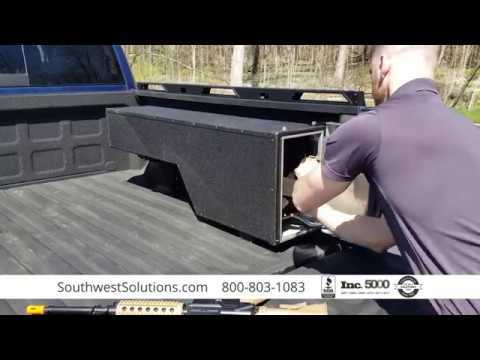 Drawer fronts are easily replaceable in case of damage, and the self closing drawers help prevent spills seeping into drawers and the spread of bacteria. 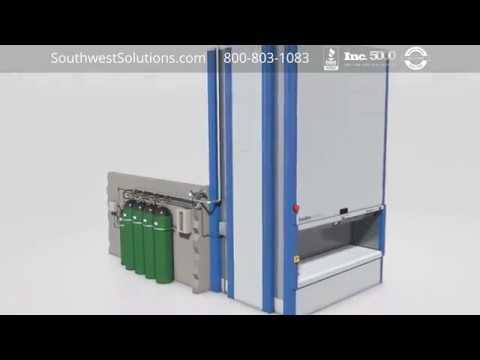 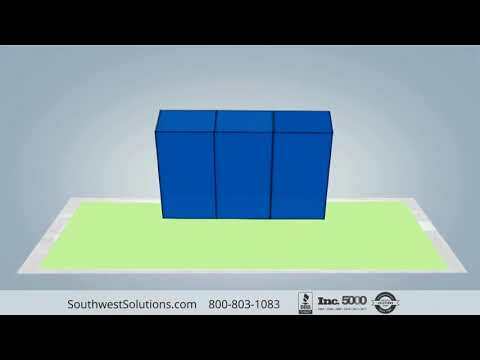 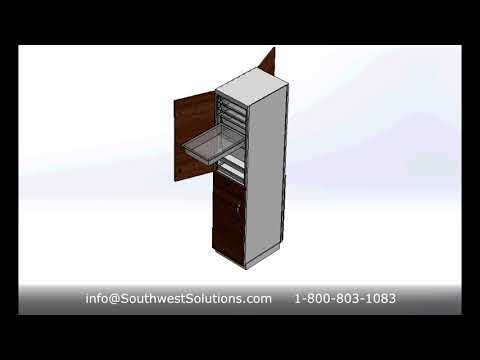 Call us today at 1-800-803-1083 and let us help you design what type of modular casework cabinets and features meet your requirements.